For over a decade, Colorado Commercial Window Tinting has been Colorado’s Springs trusted source for professional window tinting services. We work on commercial projects of all shapes and sizes in the Colorado Springs metro area and are always happy to work with both new and returning clients. When you work with us, you’ll achieve the satisfaction of knowing that your window film installation will be achieved in an efficient, timely, and cost-friendly manner. From added privacy and style to safety and energy savings, installing window film can unlock a whole new world of possibilities for your business. Listed below are just some of the many benefits of having your windows tinted in Colorado Springs. Energy Savings: Window tinting can lower the energy costs for your business and improve indoor comfort for occupants. Imagine a cool, comfortable space for both your clients and employees! And you may be able to receive a full ROI in three years or less! High-End Security: Fight off hailstorms, robbers, and anything else that comes your way with security window tinting. 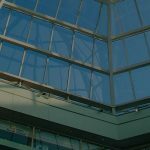 Security window tinting offers top-notch defense against a whole range of threats and is a smart choice for commercial and public buildings of all types in Colorado Springs. Beauty & Aesthetics: Create a professional, polished appearance for your office or commercial buildings with decorative and promotional window film. Decorative window film adds privacy, style, and color to your walls and looks great on both the interior and exterior surfaces of your building. Colorado Springs is home to many secured buildings, military bases, government buildings, and more. 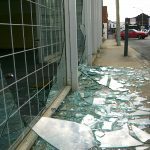 These certain types of properties require heightened security measures– many require security film, including specialty bomb blast and ballistic-resistant window films. These specialty security films provide comprehensive protection against high impact events like explosions, gunfire, break-ins, burglaries, and high wind speeds. Protect building occupants and interior valuables with security film. With so many schools and universities throughout the Colorado Springs area, it’s vital to consider improved safety measures in addition to optimizing school environments for better learning and productivity. Security film provides peace-of-mind for many school districts, enabling comprehensive protection from numerous threats. Daylight redirecting film has been proven to increase student test scores, decrease absentee rates, as well as promote better productivity from staff members. Glare reduction film is necessary for school labs and libraries so that your students and teachers can focus on research and project work without being deterred from glare. Protect costly investments in your museum, gallery, or library with UV blocking window film. UV radiation permanently damages artifacts, art, books, and other interior valuables. Decorative window film presents boundless opportunities for Colorado Springs residents to better curate their art exhibits, promote upcoming events, increase brand visibility, and much more. Security film is always a great investment in order to defend your property from smash-and-grab robberies and break-ins. Colorado Springs is known for its abundance of shops and retail centers. Retail owners can protect their merchandise with UV blocking window tint. Window tinting can block up to 99.9% of UV rays, helping optimize product life and appearance. Don’t let Colorado’s powerful UV rays deteriorate your display products. Decorative film is a great way to attract new customer, promote regional sales, increase brand visualization, and more. The mass transit systems throughout the Colorado Springs area can highly benefit from window film application. 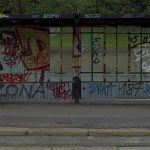 Anti-graffiti film provides a sacrificial product that enables mass transit owners the opportunity to significantly save money. Anti-graffiti film protects against further vandalism efforts while concealing any existing scratches, etches, graffiti, and more. Decorative film delivers paid sponsorship opportunities alongside promotional events, advertisements, and much more. These creative marketing films can be installed on any smooth, glass surface. Security film is a great investment that can protect your property, customers, and staff from various imminent threats. 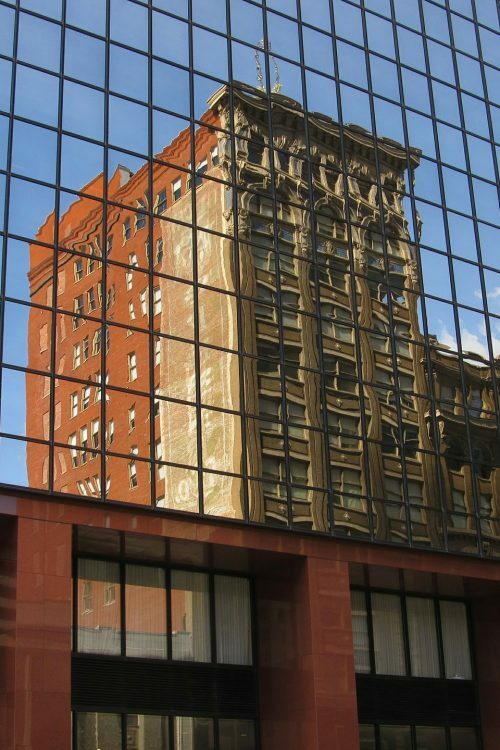 Improve productivity while maximizing savings in your Colorado Springs office with window film. Energy efficient window film promotes ultimate energy savings while providing the upmost comfort for your employees and visitors. 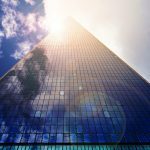 Glare reduction window film is great for offices that suffer from debilitating glare and lack of shade– optimize productivity while elevating workspace comfort. Daylight redirecting film has been proven to improve productivity, lower absentee rates, as well as lower lighting costs. Graffiti is an expensive problem for businesses to have and one that is not easy to get rid of. That is before there was the cutting edge technology of Graffiti Shield products. Good for remediation of graffiti in hard to remove places like elevators and bathroom, this 6mm film acts as a sacrificial film over your buildings metal, mirrored and glass surface, protecting it from graffiti. Should the surface be defaced, the film is easily and cost-effectively removed and replaced, saving you time money and loss of reputation. We live in a day and age where would be attackers are more motivated than ever and, in public buildings, you need the strongest protection possible to protect from possible attacks. The unparalleled strength of C-bond adhesive, specialty security frames, and security films offer a level of protection against bullets, bombs and high-velocity flying debris from natural disasters like no other. This powerful combination keeps glass in place even after shattering, greatly reducing collateral damage and even resisting bullets and bombs.Graffiti is an expensive problem for businesses to have and one that is not easy to get rid of. That is before there was the cutting edge technology of Graffiti Shield products. Good for remediation of graffiti in hard to remove places like elevators and bathroom, this 6mm film acts as a sacrificial film over your buildings metal, mirrored and glass surface, protecting it from graffiti. Should the surface be defaced, the film is easily and cost-effectively removed and replaced, saving you time money and loss of reputation. The outside of your building says a lot about the businesses within, which is why, to attract the most lucrative tenants, your building needs to look the part. Resurfacing outdated windows goes a long way for improving the aesthetics of a building and turning old and dated structures into new modern marvels. The best part about refurbishing your windows this way is, you get all the benefits of window film like UV and glare protection, at a fraction of the cost of full window replacement. Bird Strikes on glass windows may seem far-fetched but the truth is more than a billion birds die each year because of them and millions of dollars are lost to shattered windows. These collisions are completely avoidable with use of specialty window film made to prevent bird strikes. These revolutionary window films are virtually undetectable to humans but incredibly visible to birds, averting them from colliding. When it comes to commercial buildings, glare is always an issue for tenants. This is because, especially here in Colorado, where the sun is magnified, it causes myriad of problems. 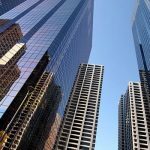 Things like high utility bills, hot and cold spots, low work productivity and high tenant turnover can all be avoided with the application of Low-e window film on high-rises, hotels, restaurants, and other commercial buildings. Best of all, using window film on any and all of these problems puts money back into your pocket in as little as 2 years. If you own a commercial building or a walk-in type business in Colorado Springs, branding is everything. You need to stand out among the mass of stores, restaurants, salons and other offices you are surrounded by in order to compete. Decorative window film is a great way to dominate the landscape around you and attract more customers or as a way to take your office interiors and business success to the to the next level. The best part about decorative window film is it is easy applied and removed, so you can refresh your look at any time to keep things new and attractive. Start planning your commercial renovations today. Contact Colorado Commercial Window Tinting to receive an estimate on our window tinting services. We’re the number one source for professional window tinting in Colorado Springs, Manitou Springs, Castle Rocks, Pueblo, and the surrounding area. Call now to speak to one of our window tinting specialists about your project!